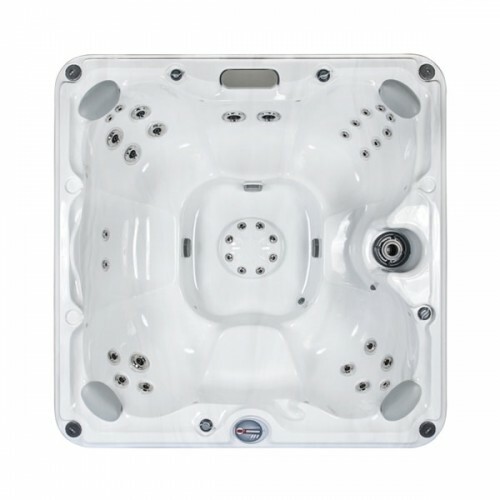 With room for up to seven adults, the Edison® spa from the 680™ Series offers total relaxation and value with from the brand more owners recommend to their friends. Throughout the spa, each seat is unique so you’re sure to find one that’s just right for you. Various jet formations renew your body every day. A cool down seat offers a place to soak and socialize without completely leaving the comforting warmth of the water. And in the footwell, jets nestled into a foot dome deliver relief from almost any seat. 2 Years Equipment and Controls: Sundance® Spas warrants the spa’s electrical equipment components specifically limited to the pumps, heater, and control system against malfunctions due to defects in workmanship or materials.